Being one of the largest emirates, Abu Dhabi houses luxurious architecture, golden sand dunes, and serene beaches. With temperatures rising steadily and your body reaching the ‘beach body’ goals, we have lined up the best Abu Dhabi beaches. Relax under the sun, flaunt your body and listen to the waves and the palm trees of the coast. Corniche Beach in Abu Dhabi is one of the cleanest beaches. Visit this place if you want to get a tan and enjoy the perfect weather. This Abu Dhabi beach also offers sports facilities including water sports and lifeguards at all times. The management is great and it makes sure that you stay out of trouble. The beach is also divided into three gates. Al Sahil gate is for singles and groups while Gate 2 is for families who enjoy quiet space and Gate 3 is for families with children. The beach is also surrounded by entertainment facilities nearby. Located near Park Hyatt Abu Dhabi, Saadiyat Beach is known for its white sand and the 400-meter long natural shore. This beach gives you the luxury to rent out your own locker, use the shower along with sun loungers and towels. Moreover, Saadiyat Beach also offers visitors yoga classes weekly so if you feel like you need to be in shape you know where to go. It’s like a perfect spot to lose your stress and enjoy the peaceful waters. Yas beach is one of the most tranquil Abu Dhabi beach. It is self-proclaimed as the ‘beach playground’ due to the activities that it holds on a daily basis. Yas Beach provides its visitors with an option of enjoying in five private chalets and a huge pool apart from the golden beach itself. Loungers are abundant so you won’t have to worry about not being able to sunbathe. With food and entertainment available on the spot, Yas Beach should be on top of your list when visiting Abu Dhabi. This beach is the favorite amongst the locals as well as travelers. Due to its immense beauty and the beach sports it offers, Al Bateen beach is the perfect spot to hang out with your family. It is also one of the safest Abu Dhabi beaches. The coastline runs to 8 kilometers long making it one of the largest Abu Dhabi beach. There is also a private area for women. There is nothing more luxurious than a private beach on an island. 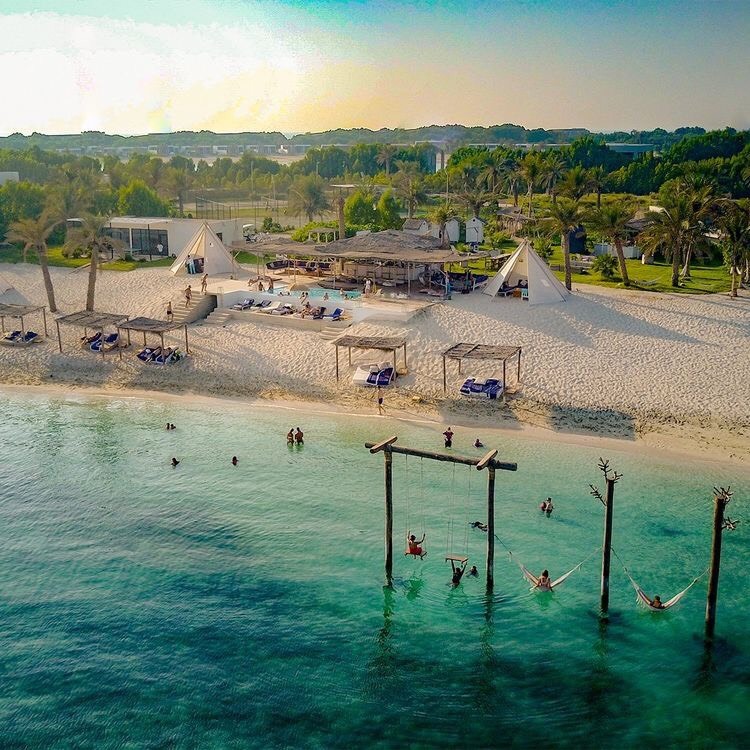 The Zaya Nurai Island is known for its rich opulence, soft sand, and calm waters. It offers private villas that can be booked for a perfect romantic getaway. Take a stroll along the beach bare feet or snorkel, there is so much you can do on this island. Abu Dhabi’s beaches are filled with relaxing ambiance and soothing waters. Sandy hair and the wind blowing across will help you forget all your worries. Plan your next getaway at these beaches and move away with the scenic beauty.